New York Silver, Then and Now links the rich history of silversmithing in New York City to present-day artistic practice. It features newly commissioned works by leading metalworkers, created in response to historical objects from the Museum’s collection. 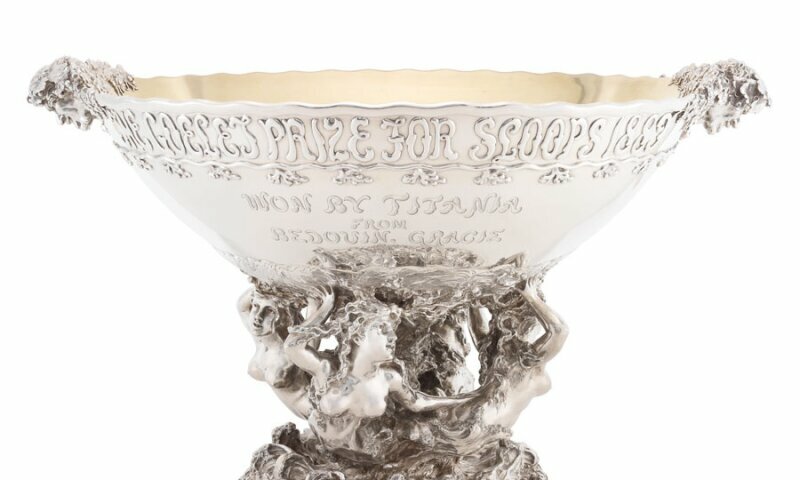 The Museum’s holdings, widely recognized as one of the foremost collections of American silver in the nation, include leading examples of silver designed and produced in New York from the mid-17th through the 20th century. Comprised of more than 1,800 works by such notable craftsmen as Cornelius Kierstede, Myer Myers, and Charles LeRoux , and renowned retailer/manufacturers like Black, Starr & Frost and Tiffany & Co., the collection demonstrates how, for over four centuries, the city’s silversmiths and designers have adapted international styles to make them distinctively “New York” in look and feel. The exhibition will open a dialogue between past and present, pairing historic pieces with remarkable new work by contemporary artists. Internationally recognized artists from the New York area who have been invited to participate include designers Dror Benshetrit and Ted Muehling; architect/interior designers William Georgis and Sheila Bridges; artists Michele Oka Doner, Kiki Smith, and Chitra Ganesh; metalsmiths Myra Mimlitsch-Gray and Wendy Yothers, and many others. The contemporary artists featured in New York Silver, Then and Now are: Aranda/Lasch; Dror Benshetrit; Constantin Boym; Laurene Leon Boym; Sheila Bridges; David Butler; Marcelo Coelho Studio; Erin Daily; Chitra Ganesh; Michael Gayk; William T. Georgis; Preston Jones; Amy Roper Lyons; Myra Mimlitsch-Gray; Michele Oka Doner; Patrick J. Quinn; Robert Lobe; Ted Muehling; Liza Nechamkin-Glasser; Kiki Smith; Courtney Starrett; Jonathan Wahl; Brian Weissman; and Wendy Yothers.